Raleigh is called the "City of Oaks" because of it's breathtaking oak trees throughout the city. And the City of Oaks is a fabulous place to call home! We host the state fair each year. World-class entertainment can be found at the Meymandi Concert Hall at the Duke Energy Center for the Performing Arts, Red Hat Amphitheater, and the PNC Arena among numerous other venues. Check out additional live music in Raleigh here. The Carolina Hurricanes call Raleigh home. The downtown museums are great and the North Carolina Art Museum will nourish all your senses with first rate collections, expansive outdoor space peppered with art, and even movies and concerts. Most importantly, after years of downtown revitalization, the city is truly alive. And these homes for sale Raleigh NC will put you right in the middle of it all! 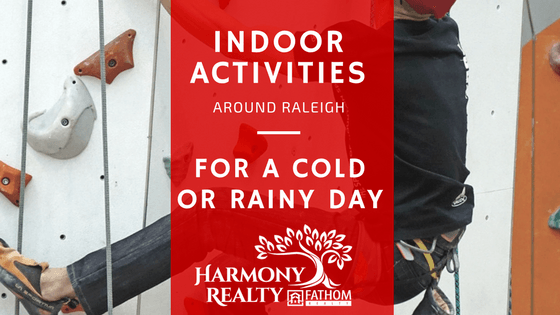 Homes for Sale Raleigh NC: Where in Raleigh do YOU Want to Live? Often referred to as ITB, you will find these homes in the most beautiful and convenient locations in Raleigh. The Museum District is the central hub of downtown Raleigh. These homes provide easy access to the best restaurants, the Historic District, Warehouse District and more! Cameron Village is a popular shopping district near downtown Raleigh. You'll find quaint shops, trendy boutiques and restaurants all connected by sidewalks. Midtown is loved for it's close proximity to Raleigh's North Hills. Enjoy living right where you play, with great entertainment, shopping and dining options beautifully connected in a small village feel. North Raleigh is a popular suburb for those wanting to live outside the city, but still be close to everything. With excellent schools, and a well established parks and greenways system, North Raleigh is a great place to live! West Raleigh is a great location for those who want a location centrally located to both Raleigh and Durham. Adjacent to the nearly 6000 acre Umstead State Park, these homes are perfect for the outdoor enthusiast!